As we study and practice NVC, we learn that our ability to self-empathize is a requisite skill for living out our NVC consciousness in the world. Deep empathy, dialogue, mediation, teaching NVC, and perhaps most importantly, knowing what we want to do, versus what we think we should do, are all supported by our skills in self-empathy. This ability to self-empathize is a key to being compassionate with ourselves, in our significant relationships and in our professional lives. Through self-empathy we can understand what we want and how to get it in a way that is in harmony with our values. We can hold a more compassionate view of the world more often. We can practice NVC anywhere and everywhere. 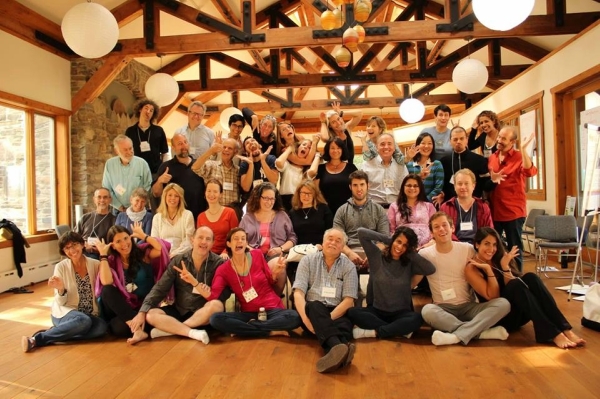 This intensive is intended to support and inspire participants in breaking through and getting a deeper, more sustainable integration of self-empathy. In a supportive, community environment, we experience challenge, guidance, nurturing and support in the limitless practice of self-empathy and seeing the world empathically. Throughout the training, we will build on our work with well-defined self-empathy practices and processes to develop an immediate, fruitful and sustainable practice.